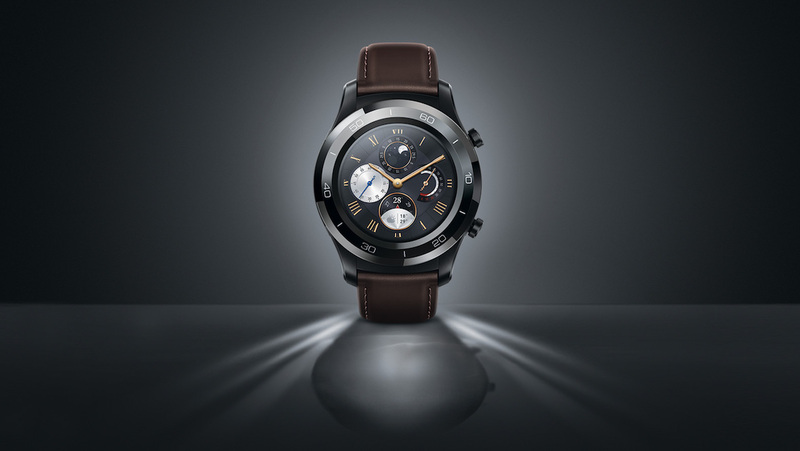 Huawei has gone ahead and surprisingly announced a brand new iteration of the Huawei Watch 2. This one is called the Huawei Watch 2 Pro, and Huawei is making big noise about it having eSIM support. This would of course mean it wouldn't need to deal with the rather bulky SIM tray. The Watch 2 Pro has launched in China for ¥2588, which is about $390, according to Android Police. The big feature is eSIM support, which might hint that eSIM support is about to blow up big in smartwatches, making LTE connectivity more available than ever before. The Apple Watch Series 3 also features eSIM, which helps allow Apple to keep the watch relatively the same size despite adding more sensors to it. The other features we can see aren't too different from the regular Watch 2. You've got GPS, a heart rate monitor and support for NFC payments. Specifically, it supports Huawei Pay because this device is intended for China. Physically, we see a stainless steel case and a dark brown leather band. We're unable to see what kind of other features or specs this one has, and how it differs from the regular watch, but we can probably speculate that it isn't too far off from the Watch 2 Classic. That watch has a 390 x 390 1.2-inch AMOLED display, Snapdragon Wear 2100, 768MB of RAM, 4GB of storage. We've reached out to Huawei to see if we can get a full spec sheet and will update this story with the information as soon as we receive it. There's also no word on if this version will release outside of China.